Ork Warboss on bike who loves to pound on cybermen/crons. What sets were used to pull this off? A LOT of Green stuff, plastic card, sheet metal, wire, and bits. Oh and the Necron "Chariot kit" thing. 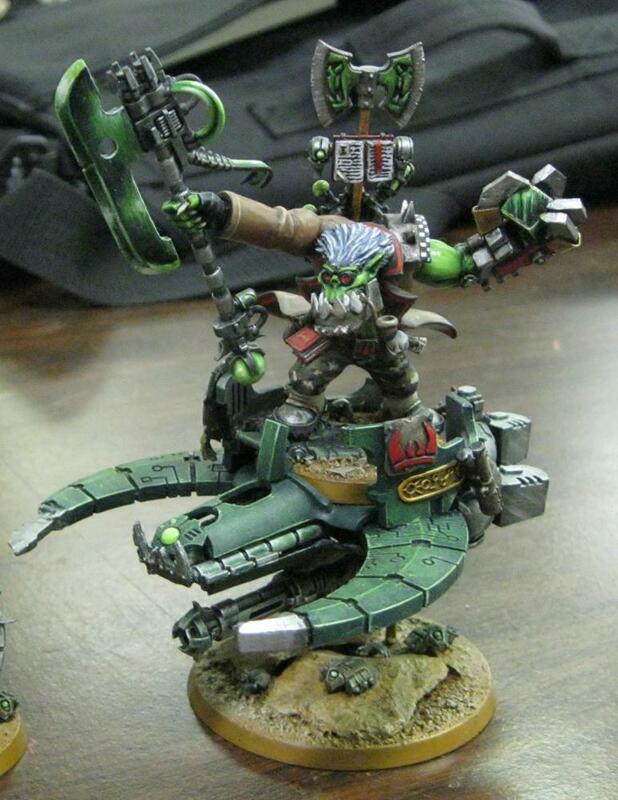 One of my favorite Orks I've seen, really solid job, from painting to converting. The inquisitor thing, I sorta get if its like the deathwing sorta xeno side of the inquisition other wise I'm a little confused. I love how he has the 'cron 'all spark cube', great conversion, great to see the 90's ork hair back again! this is awesome. wish i would have thought of it!